Postural and hormonal changes of pregnancy can put huge demands on the muscles, ligaments and joints of the mother’s body, as the developing baby expands. Similarly, the growing baby means less space for the mother's internal organs. 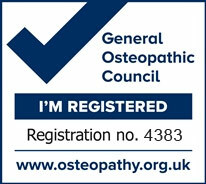 Patients often report that symptoms such as nausea, heartburn, breathing difficulties, chest and rib pains, low back and pelvic pains, fluid retention, varicose veins and haemorrhoids have been eased with osteopathy. Releasing the pelvis, reducing tension from the lower back and abdomen will help you relax and experience a more comfortable labour and birth. I can also give advice on posture and exercises which will also help the baby get into the optimal position for a straightforward birth.